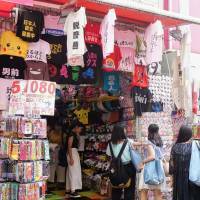 Designers and clothing retailers are spotting what has previously been a niche trend now gaining widespread popularity in Japan, drawing a growing number of fashion-forward customers from within the country and overseas: T-shirts. Not just any old T-shirt though, the objects of desire are designs that reflect an aspect of Japanese culture printed in kanji, hiragana and katakana — the funnier and quirkier the message, the better. “I’m looking for a foreign girlfriend,” reads one shirt prominently displayed by the entrance of a boutique in Tokyo’s fashion hub Harajuku in Shibuya Ward, grabbing the attention of passers-by — Japanese and non-Japanese alike. 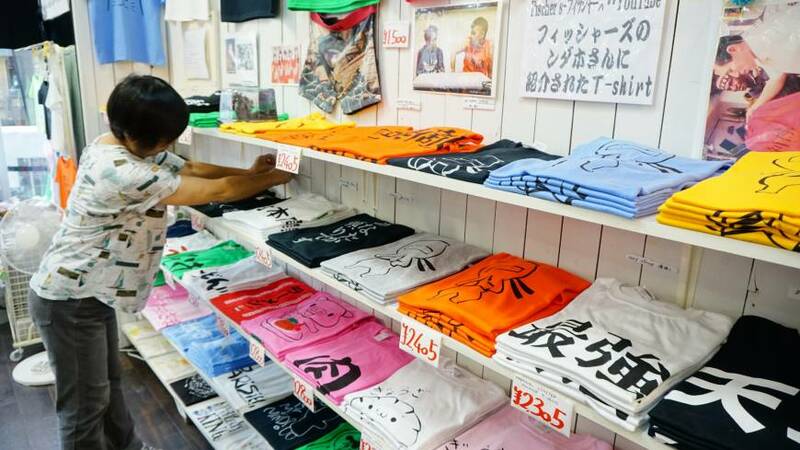 “Half of our clients are Japanese, while the another half are foreigners,” said Keiko Sasaki, who runs her boutique Parisien, which has more than 100 types of T-shirts on offer. Standing in the epicenter of youth culture, Parisien has witnessed multiple style revolutions sweep through the streets throughout its 40 plus years. Until recently the boutique was situated on Harajuku’s famed Takeshita Street packed with shops specializing in subculture fashion. Sasaki, who has been the store’s manager for about three decades, relocated the boutique about two years ago to its new location just a two-minute walk from Takeshita Street. Sasaki said the beginnings of the trend emerged about a decade ago, attracting mainly tourists. But since then the designs of Japanese-themed T-shirts have become more playful and thus have caught the eyes of a diverse clientele. 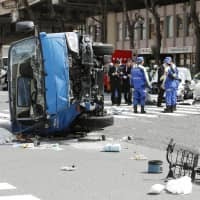 Europeans have been visiting the store in growing numbers in recent years, Sasaki said, adding that among her clients were American singer Ariana Grande and Hollywood actor Tom Hanks, who bought a samurai-themed T-shirt for his son several years ago. Sasaki sees the recent influx of tourists from overseas as an opportunity to reach new clients and wants to expand her business. 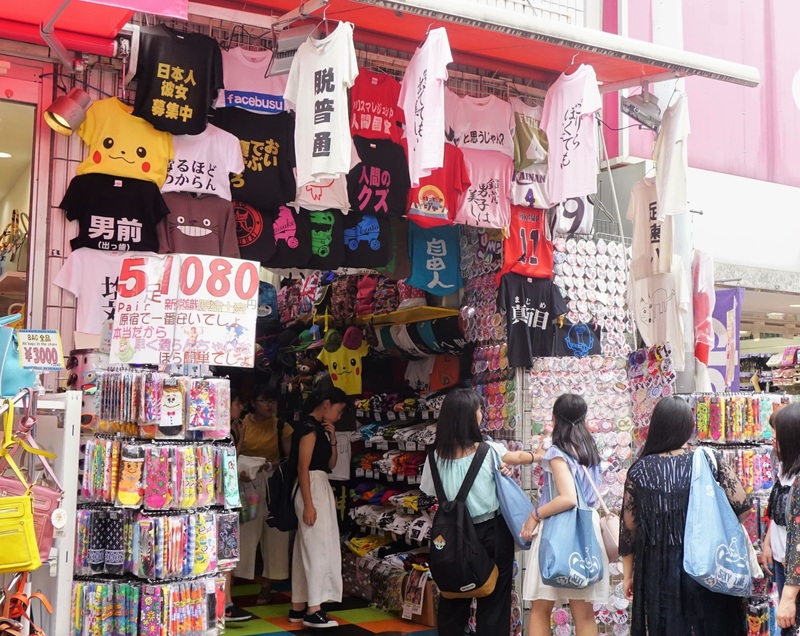 Sasaki said overseas visitors who can read Chinese, which has thousands of kanji in common with Japanese, would often pick up items with characters that would be understandable back home. 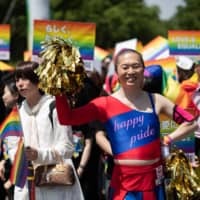 Meanwhile, people from Western countries typically prefer shirts with puns or cultural motifs, such as a ninja warrior or a sumo wrestler with corresponding characters printed across the back, Sasaki said. 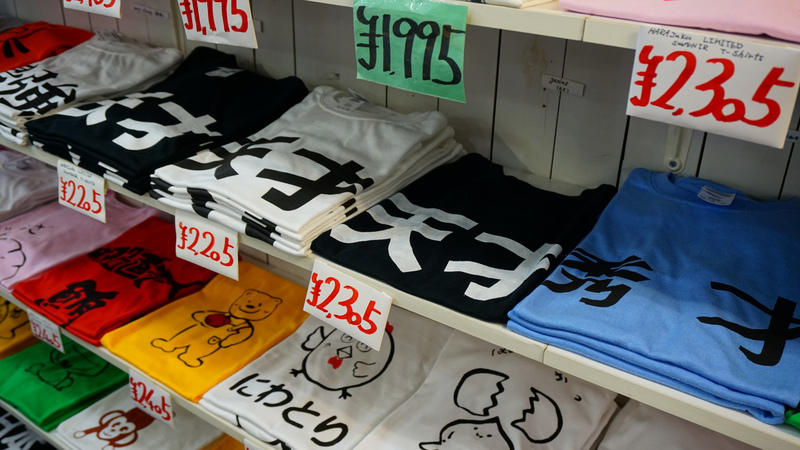 The sales of some Japanese language T-shirts partly owe their popularity to celebrities who have many young followers, Sasaki said. The seven members of Fischer’s, a YouTube comedy channel, often perform wearing Parisien’s tees, Sasaki said. 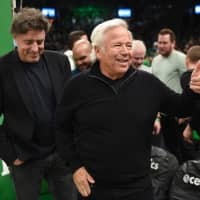 The group has a fan base of some 3 million. Rie Nomura from Hokkaido bought her daughter, Honoka, a shirt that looks like one worn by Honoka’s idol, Nozomu Kotaki, a member of the pop group Johnny’s WEST. Eisuke Dohi, who since 2006 runs the online store T-shirts Trinity, said news that baseball icon Ichiro Suzuki wore a shirt from Dohi’s brand during this spring’s league might have generated interest in T-shirts Trinity’s items. Ichiro wore a shirt bearing a phrase in kanji and kana that roughly translates to “I wanna be treated to yakiniku,” referring to barbecued meat. Since then, the shirt has become a hot item at the store bringing in several hundred orders of the same design. T-shirts Trinity has an inventory of nearly 1 million items, mostly tees or long-sleeved shirts. Dohi said the themed T-shirts have grown popular among Japanese, many of whom see these pieces as a subculture fashion statement. 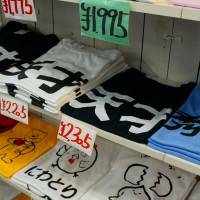 “T-shirts with katakana quickly gained popularity among foreigners but they also gained status as an object of subculture design two years ago and last year, reaching Japanese clientele,” he said by phone in July. The trend became more mainstream globally after French fashion house Carven, unveiled its ready-to-wear spring-summer 2015 Japan-inspired collection, featured in Vogue in September 2014. The line had several pieces incorporating Edo-style illustration prints as well as katakana. Earlier this year, Italian fashion house Gucci in this year’s spring summer collection features paper fan prints and a kimono-inspired suit for men with the brand’s name emblazoned in katakana across the back. Dohi said ramen-related shirts consistently top the ranks of specialty tees and have been sold well since they were introduced in September 2015. 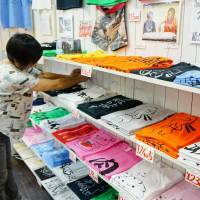 Within a 30-day period ending July 25, the store had sold about three dozen ramen-themed tees. “But now subculture T-shirts with hiragana are enjoying greater popularity,” Dohi said, explaining the designs now come in a wider array. The clientele’s age ranges from 18 to around 50.